Recently, I was invited by Dr. Lynne Herr (@lherr) to take some kids from York Elementary to present at the Technology Showcase at the Nebraska Association of School Boards annual conference in Omaha, Nebraska. I was excited for York students to have this opportunity to showcase some of their technological skills. I chose six fifth graders to go with me based on their skill level at using some of the technologies we have implemented this year during their time in the media center. Needless to say, they did an outstanding job! I have to admit, I was a little nervous letting ten and eleven-year olds teaching school board members and administrators from across the state of Nebraska. As soon as we arrived in Omaha and started setting up, my fears vanished. I stood back and admired how these students worked together to educate adults about some of the things we are doing at York Elementary. We had Max and Morgan show how they are using Edmodo while Connor and Marsavian showcased their Google Apps accounts and also gave a quick demonstration of Voki . 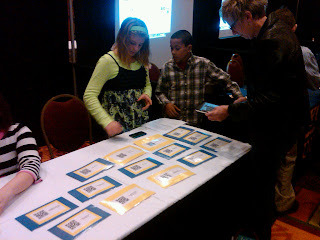 One of the busiest tables in the whole showcase was the QR Code table demonstration led by Hailee and Bailey. They demonstrated how we are using QR codes in the media center. I had told the kids that it was a carousel format in which maybe one to two people would approach them and inquire about what they were showing. After leaving the convention center, one of the students said to me, "Mr. Badura, I thought you said we would only have one or two people at at time. We didn't know we would be swamped!" After a luxurious dinner at The Amazing Pizza Machine (the kids talked me into it). I had some time to reflect on my way home in a very noisy Suburban. During my reflecting and changing of the radio station every four minutes, I realized that these six young people that I brought with me had actually taught me something. I didn't go into this thinking I would learn anything, but was I wrong! Here is what I learned from a group of excited, vibrant fifth graders. 1. Teach with Passion. Do you go into your classroom every single day with your best face on? These kids attacked their presentations with a fervor! It was so awesome to see that! 2. Live in the Moment. Many times we get caught up with worries and issues that are out of our control. We need to realize that every single minute we are influencing others whether we think we are or not. 3. Take time to laugh. My cheeks hurt after this trip. I needed that. I had been taking life way too seriously before this trip. You wanna loosen up a bit? Take a bunch of elementary kids on a trip....they will quickly put a smile on your face! 4. Don't worry about it. I worried that my kids might say the wrong thing. I worried that they might be loud and obnoxious. They took the stage and did a wonderful job. I was awestruck! How many times have you let your worries get in the way in your life? 5. Grasp every opportunity. 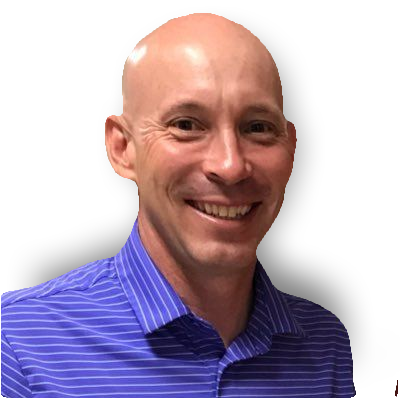 When Dr. Herr asked me to bring kids down, I immediately thought about all the things I had to get done....this would just be a barrier to getting those things done. This was a great opportunity for kids and I am glad I put my selfishness aside. 6. Be yourself! Plain and simple. 7. Sing like nobody is watching. Man those kids can sing! They even talked me into doing a little singing on our "karaoke style" ride home. Keep in mind, I can't hold a tune. I won't even sing in Church! 8. Be creative! The kids were so full of ideas for their presentations as we drove to Omaha. I loved eavesdropping on their conversations as to how they would do their different presentations. They were so creative with their ideas! I am reading Walter Isaacson's book on Steve Job's right now and in one chapter Steve discussed that as we get older we tend to lose our creative tendencies. When is the last time you did something different in your classroom that made you get out of your comfort zone? Be creative, your kids will love it!